After at least four years of absence, the Ford Motor Company has returned to the U.S. Minivan Market. 11 million new households in the United States in the next decade would be considered to use the car. This would help in boosting the sales by 52 percent by 2012. The introduction of the vehicle may be in 2012 or in late 2011. The new Ford C-Max will be displayed at the Detroit auto show in January. 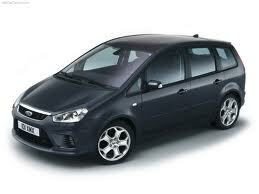 The Ford C-Max is a seven-seated minivan which is based on the 2012 Ford Focus sedan. A new hands-free power-operated rear lift gate is featured by the vehicle. The Ford C-Max does not look like a box on wheels but has certain attributes of a traditional minivan. The vehicle is a European Ford Grand C-Max with 5+2 seat arrangement. It has a rear sliding door. But the C-Max in Europe has a shorter wheelbase of Grand C-Max with 5 seats. The vehicle can be a good and new affordable transportation for the busy North American families. The vehicle provides flexible seating and interior space, sporty performance, and the best-in class fuel economy. The people who like to have stylish, flexible transportation and life-enhancing technology can prefer the Ford C-Max. The versatile 5+2 seating arrangement of the vehicle includes the seating configuration with five seats in the main cabin and two smaller seats in the third row. For providing space for cargo in the vehicle for the United States, the middle seat of the second row can be folded under the right hand seat. The other features of the vehicle include an advanced new system which automatically steers the vehicle into parallel parking spaces; and twin sliding doors and active park assist. Ford C-Max can be considered as a segment leader which had been awarded a Euro NCAP five star rating by the independent safety rating organization. The vehicle features a combination of new features, low price and high mileage. This may enable the success of the Ford C-Max in the minivan market of the United States.